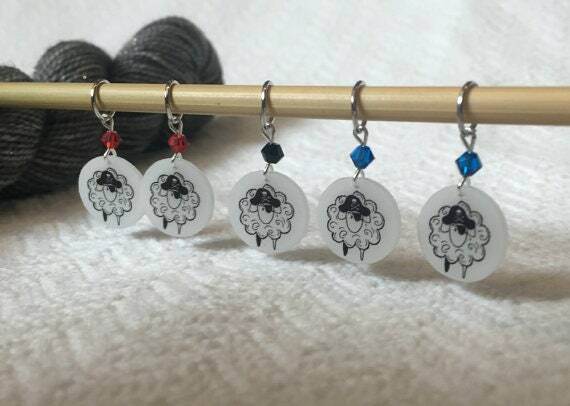 This set of 5 lightweight stitch markers feature the Treasure Goddess Pirate Sheep logo on each, along with a beautiful Swarovski crystal, wired onto silver jump rings that will fit up to a US 9 5.5mm knitting needle. 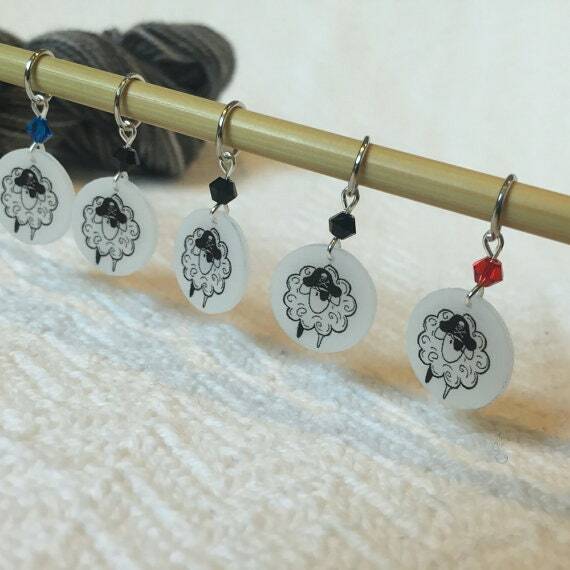 Combinations of different colored crystal beads make this set a fabulous accessory for your knitting projects! 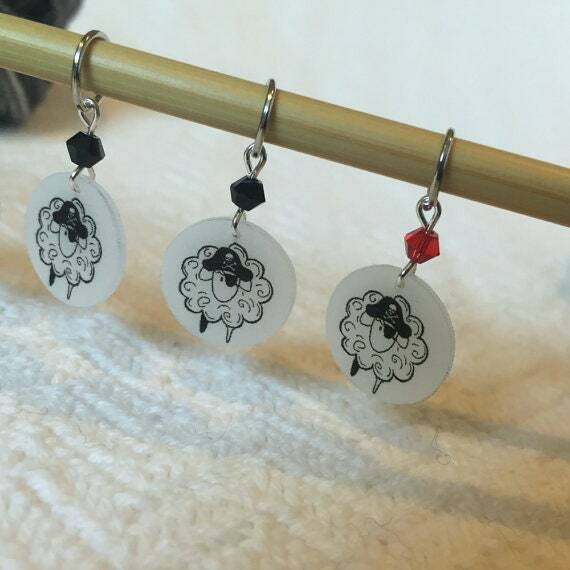 Each set comes with a Pirate Sheep temporary tatoo too! 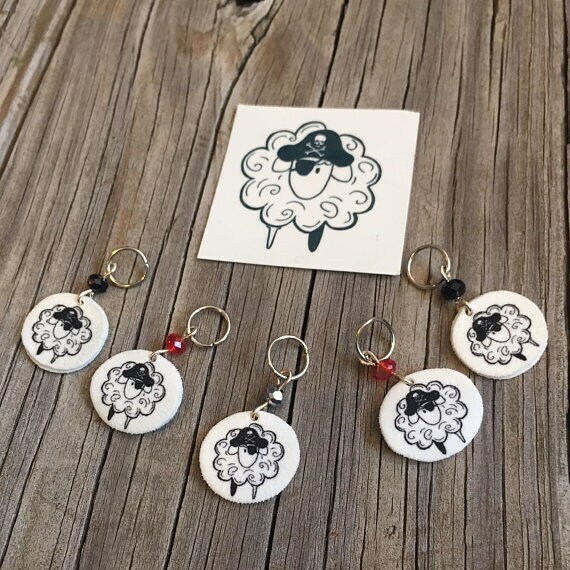 Who doesn't need a Pirate Sheep Tattoo? YARRRN! 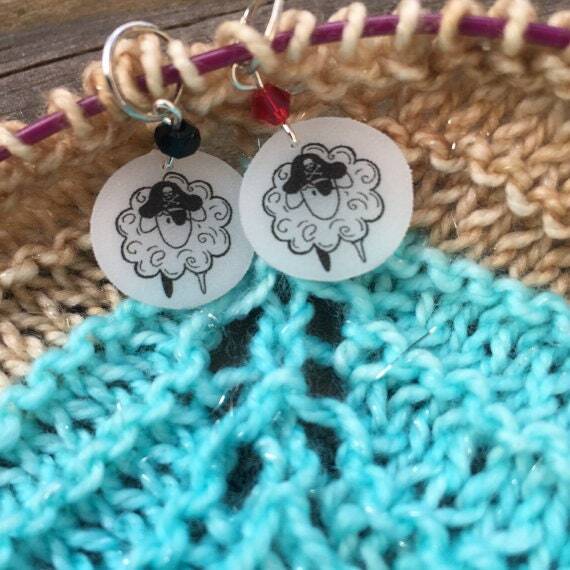 Want the best discounts, sneak peeks and freebies too? Sign up for the Treasure Goddess Newsletter at http://eepurl.com/bXVZkb and join the YARRRNY Adventure!